3iSmartFood - The truth about the food you buy! Do you know what’s in your food or where it comes from? Let us connect you with hidden food safety information to keep your family safe. ABOUT ME: My name is James Flynn and I am a 25 year "veteran" of food safety and a 20 year experienced food safety software developer. ABOUT PRIMORITY: We are a specialist start-up food safety software company with BIG ideas and a deep understanding of food safety. Our customers include some major UK food companies, who take food safety very seriously, like Weetabix and Park Cakes. ABOUT 3iVerify: Our 3iVerify solution gathers food safety information from the global food supply chain. It helps our customers monitor critical safety information on the raw materials they put into the products they sell. We help our customers stay legal and protect their customers, their own brand and ultimately end consumers like you and me. GLOBAL FOOD SAFETY: According to the World Health Organisation (WHO), contaminated food kills 420,000 human beings globally every year, causing untold, unseen and unheard suffering. Shockingly, 40% of these deaths are children under the age of 5 (p10). HIDDEN FOOD SAFETY PROBLEMS: Consumers do not know what is in their food or where it comes from. The consumer only sees minimal legally required information on product labels, which can often be incorrect. There are great companies out there but unfortunately there are also unscrupulous food companies indulging in criminal behaviour, that falsify, cover up information and make fraudulent claims. The problem is much bigger than you think. Food companies and retailers usually keep food safety information behind their IT firewalls and it is difficult to stay on top of emerging risks in their supply chains due to the many information sources they must monitor. Finally, Brexit means UK food businesses may source food ingredients from Countries with much lower food safety and farm animal welfare standards than the UK. Food safety is not a given! INEFFECTIVE FOOD RECALLS: 87% of consumers simply do not notice or receive product recall information (p54, Figure 9). In an international study of food recall systems, the UK scored very poorly (p21 - Table 5.4). Countries we import food from often have even poorer food safety standards recall systems; In South Africa, more than 180 people died recently in the world's most deadly Listeria outbreak ever. It took an unbelievable 15 months to uncover the source. The identified culprit traded as normal throughout the outbreak, killing more people in a shocking example of profits over human life that impacted an entire industry. UBER STYLE TEAR DOWN: We want to tear down the food safety information firewall 'Uber style' and improve consumer AND food industry access to food safety and food recall information forever. Consumers are concerned (p16) and they deserve to know about the safety of the food they buy for their families to eat, not just in the UK but globally. People have a basic human right to safe, nutritious food, that is accurately labelled, and without misleading claims. Food companies need to stay up to date with emerging risks in their supply chains. There just isn’t an effective way to do this at present, even though there is an ocean of information out there for the few that know where to look and are motivated to do so. STAY INFORMED on the food safety status of their food, so they can make more informed decisions about the food they buy and eat. We will deliver verified food safety information from private company systems, industry databases and from food regulator websites that most food consumers do not read. GET AUTOMATED ALERTS: Consumer protection could be significantly improved through instant, automated food recall notices. Linking alerts to the food products purchased by consumers would protect their families and allow them to get their money back. Likewise, in a complex global food supply chain, smart food safety alerts informing food manufacturers of contaminated batches/sources of raw materials would prevent them impacting their products and their business. SMART INTERNET OF FOOD: We would like to kick start the ‘smart kitchen’ revolution through reliable, independently verified data via an ‘Internet of Food’ to help consumers make better decisions about their health, wellbeing and nutrition. This technology could help transform consumer health, nutrition, convenience and support the minimisation of food waste through smart "use by" dates, product tracking and rewarding recycling behaviour using smart packaging. LEADING THE WAY: We have initiated a not-for-profit initiative called the 'Global Food Blockchain Initiative' (GFBI) to assist with the above goals. GFBI is an industry led collaborative organisation that brings together industry leaders and innovators in retail, food processing, smart packaging, embedded RFID and food safety software. GFBI is also working with major UK universities like Nottingham Trent and Strathclyde Universities on research and development on smart packaging with embedded RFID and blockchain food safety technology. We are also working with the University of Reading on applications in food processing, and in food safety and quality systems. 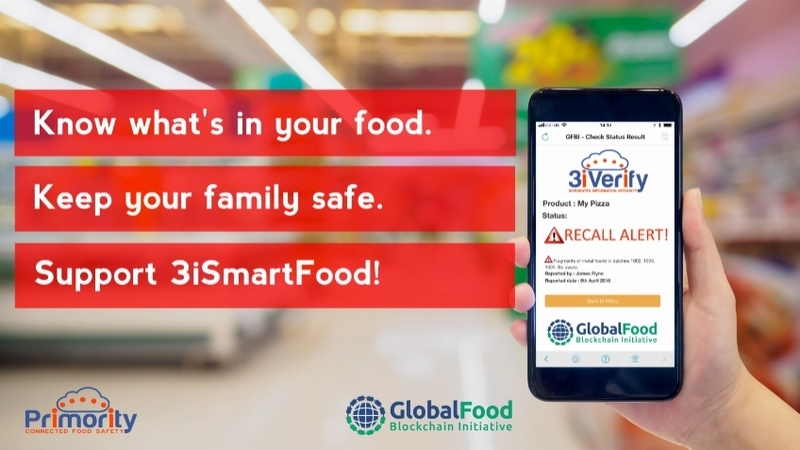 BLOCKCHAIN FOOD SAFETY: We will build a blockchain information solution called 3iSmartFood that GFBI members and the wider food supply chain can use to help drive transparency and accountability around food safety, animal welfare and provenance standards. Increasing food chain visibility for industry and consumers will provide accountability incentives that helps drive industry food safety standards. We will provide access food information, (including source, provenance, composition and food safety status) and food recall alerts in real time that are affordable and accessible to all. Although we will develop integrated Apps for our own commercial use, we will also provide low cost access to other software businesses and government agencies. We especially want to help those working with small and medium enterprises and/or developing countries that want to use GFBI through our not-for-profit initiative. This will help the information we gather ‘go viral’ throughout the food chain digital ecosystem. It will improve consumer participation and protection for families, and food industry capability to evade unsafe and fraudulent foods. An independent GFBI food blockchain means there will be no hiding place for the unscrupulous, the shady and the shoddy. MONETISATION: Consumers will always get our 3iSmartFood Apps and food safety information for free. The 3iSmartFood App will scour the web, social media and industry databases to gather food safety and food fraud data. This will help inform and protect families and food businesses alike. 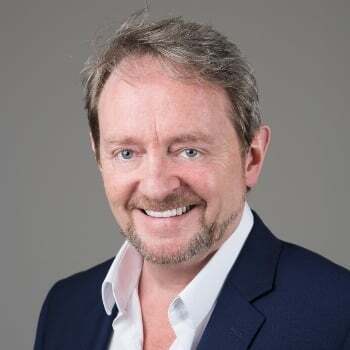 Its operation will be funded by the food and retail industry paying to access the food chain information we gather and to include their specific product and company details. It will save industry an average of £300k for each product recall avoided and reduce punitive fines by regulators and retailers. 3iSmartFood will make checking the status of suppliers and food ingredients more effective and efficient for each food operator, replacing current manual checks of dozens of food safety and recalls information sources. It will fundamentally help food businesses protect their brands whilst empowering consumers to protect their families. We intend to make our system available, through GFBI, to other software developers so they can create innovative applications from the data we gather. We will charge them a small fee based on the data they use and even pay them for data they share. FUNDS REQUIRED: We are looking for a minimum of £50,000 to build the first functional version of the 3iSmartFood App, blockchain, RFID and IoT ready, and provide independent and trusted information on food safety alerts and recalls. OUR VOOM ASK: A vote for 3iSmartFoodApp is a vote for the basic human right of safe, healthy food for everyone and a tool to help the food sector deliver this. Please help us by casting your vote now, or pledging to our crowdfunding campaign, and let's "Make the Worlds Food Safe" by working together.